Our company provides high quality services in long-term chartering and project. We have accumulated experiences not only in time-charters but also profit sharing, and, when required, other innovative solutions to fit requirements of our clients. Based on a plenty experience of Cargo broking and Ship chartering, we have engaged in reliable service which range by Korea /Japan /China /South east asia /P.G. 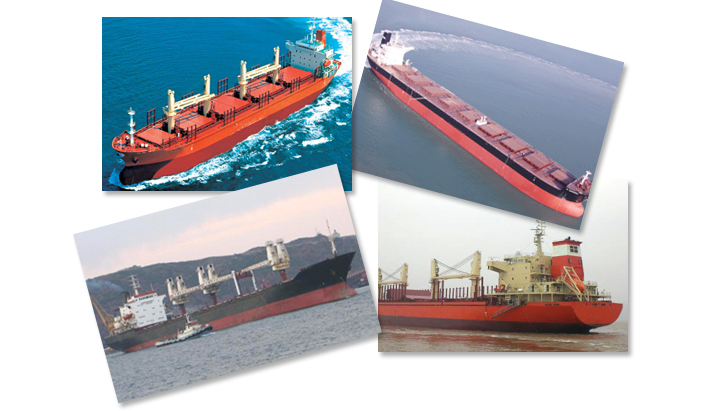 Our operating vessel is carrying Steel products, grain and general cargoes. We are continuously upgrading service quality to the greatest possible extent, diversifying services and modernizing our fleet.